A wedding or special event held in a marquee holds so many possibilities than a traditional bricks and mortar venue. There can be more space, flexibility to have what you want, when you want and also you can plan it for any time of the year. 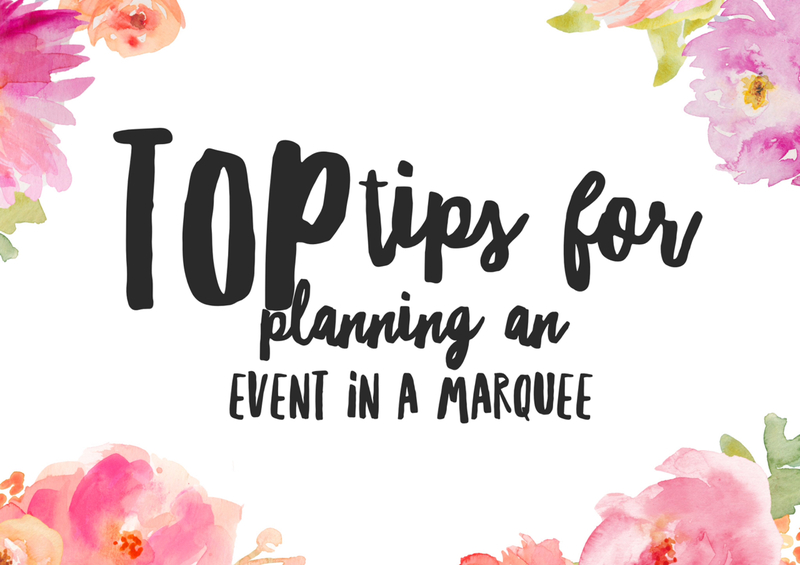 With wedding and events season on the horizon, the Function Junction presents our top tips for planning a marquee wedding or event. Marquee companies and venues which allow marquee’s get booked up very quickly, so booking in way advance is definitely a good idea, especially for the peak summer season. Having your guest list pre-prepared with approximate numbers finalised before booking a marquee will also help to figure out the size of the marquee you’ll need. If you’re having food, drinks, entertainment or even a sit down dinner, you’ll also need to think about your vendors space requirements. Many function bands, DJ’s and caterers need a lot more space than you think - checking these details first is a must before hiring. When you have a lot to organise for an event or wedding, the finer details can get overlooked. Obviously choosing a picture-perfect location is a given for your marquee and the event itself, however considering items like security, insurance, parking, toilets and electricity needs are very important. In order for your marquee to be safe and secure, your chosen marquee company or venue will be able to assist you with assessing whether your location is the best. Note nearby accommodation and transport options as well in the local area, to help guests plan their own schedules. When you have finished planning the essential amenities, it’s now time to plan the exciting parts of your event; the entertainment! The Function Junction have a huge variety of live bands, acts and DJ’s to choose from to make your wedding or special event truly memorable. Browse our categories or find an act using our drop down menus on our homepage. It is also worth noting that if an event is being held in a marquee or similar, a band must have a level hard floor, as grass or matting are not safe surfaces for live acts to perform on. The Function Junction also offer our own helpful advice on booking entertainment for your event, just visit our ‘Help & Advice’ page for more information. Sometimes decorating such a large space can seem daunting. However there are some tips and tricks on how to make the most of the space in a marquee. Print out a floor plan and then create different zones or areas for your guests - the bar, a chill out area, dance floor or even a photo booth for capturing those memories. Don’t overlook the furniture choice for your marquee, as when you have a blank canvas to style, the furniture within a marquee can also become part of the decoration. Fancy chairs, beautiful table cloths and a well-decorated bar will look amazing. Make sure to never neglect the ceiling of a marquee, where there are so many gorgeous options to make that area stand out; fairy lights, lanterns, bunting or sophisticated chandeliers. You will need as much time to dismantle an event in a marquee, as you did assembling it. Make sure your vendors know how long they have to tidy up before the marquee company arrive to take away the structure. You wouldn’t want your guests left over jackets or items to be thrown away! As a marquee is outside, be a responsible party planner by making sure to pick up litter and organising a recycling collection for after the event.